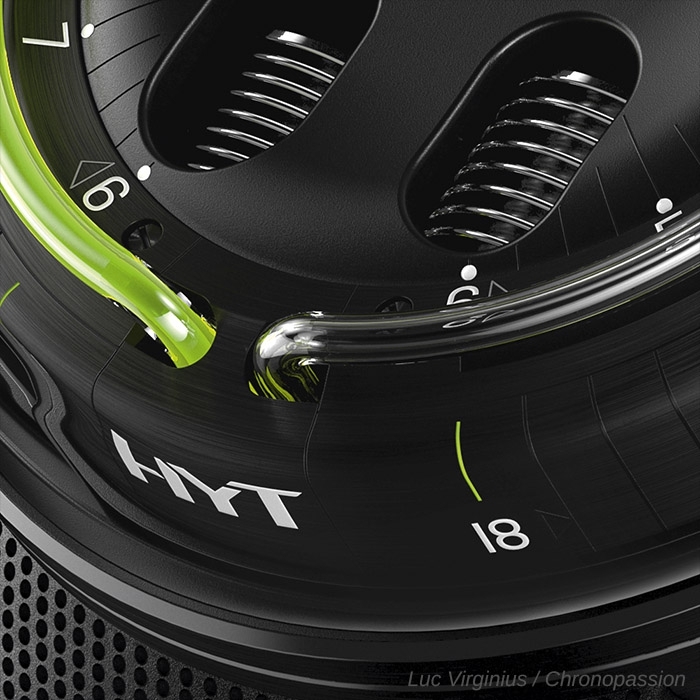 HYT’s Hydromechanical Horologists have turned fantasy into reality, mixing mechanics and liquid within a wristwatch. 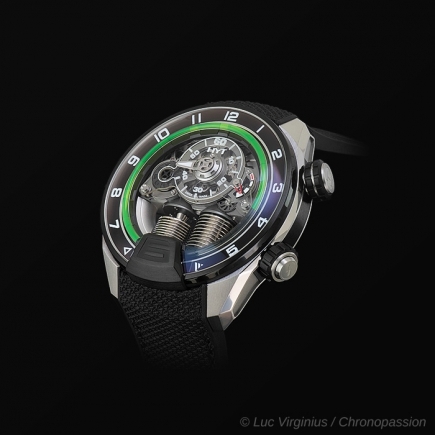 While addicted to non-conformism, these alchemists have drawn upon the strictest codes of fine watchmaking, and shattered them. 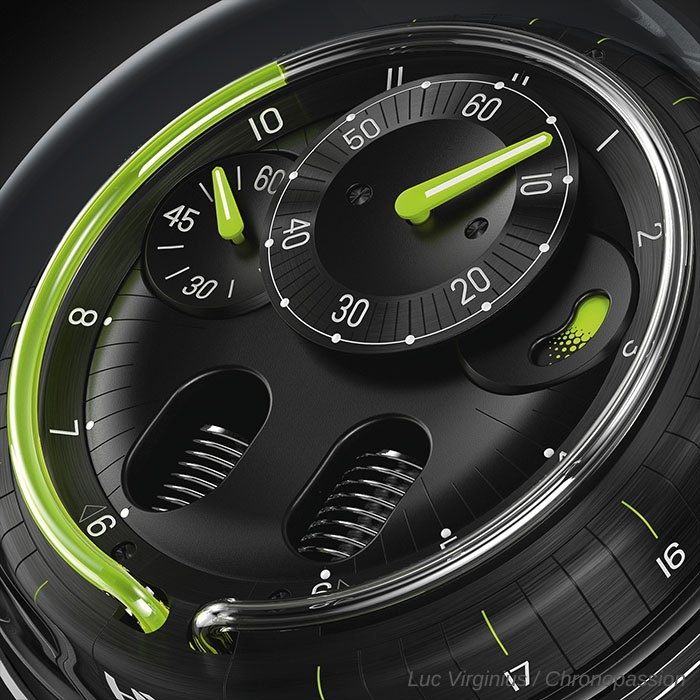 Fine watch making meets fluid technology. A priori, a utopia. Brushing away all certitudes and all notions of conformism, the core concept that gave birth to the H1 is simple: two flexible reservoirs with a capillary attached at each end. In one, a coloured liquid; in the other, a transparent one. Keeping them apart is the repulsion force of the molecules in each fluid. There are two reservoirs at 06:00 also referred to as bellows. 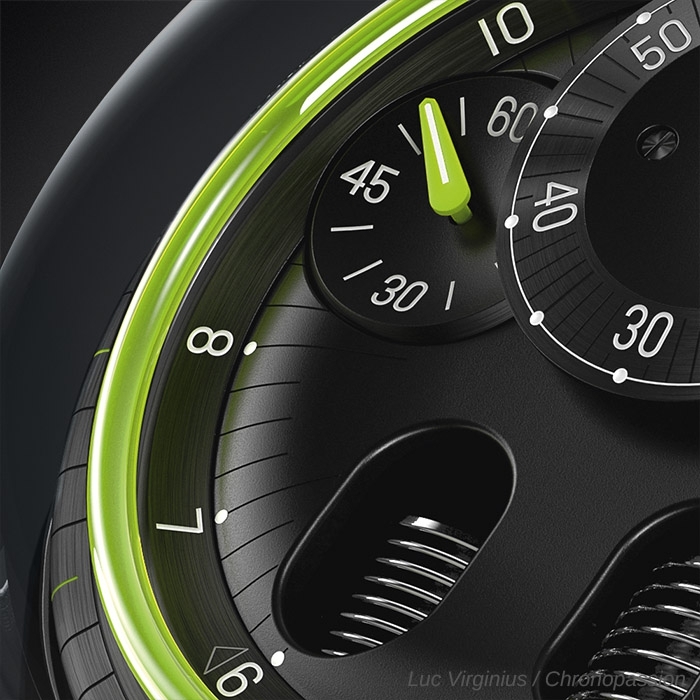 They are made of a highly resistant, flexible alloy. 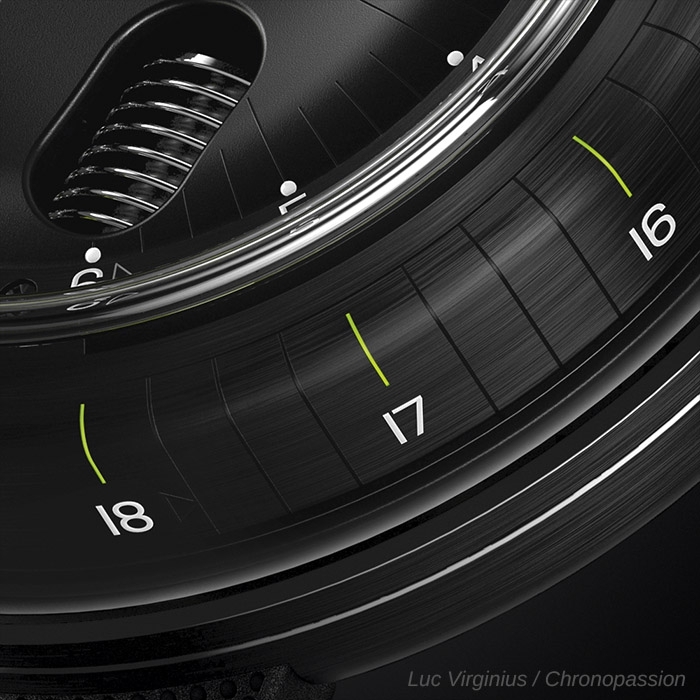 Watchmaking is used to activate the system via a piston that drives the bellow on the left (the active bellow). When the active below is compressed, the second expands, and vice versa, resulting in the movement of the liquids in the capillary. As the hours go by, the coloured liquid advances. 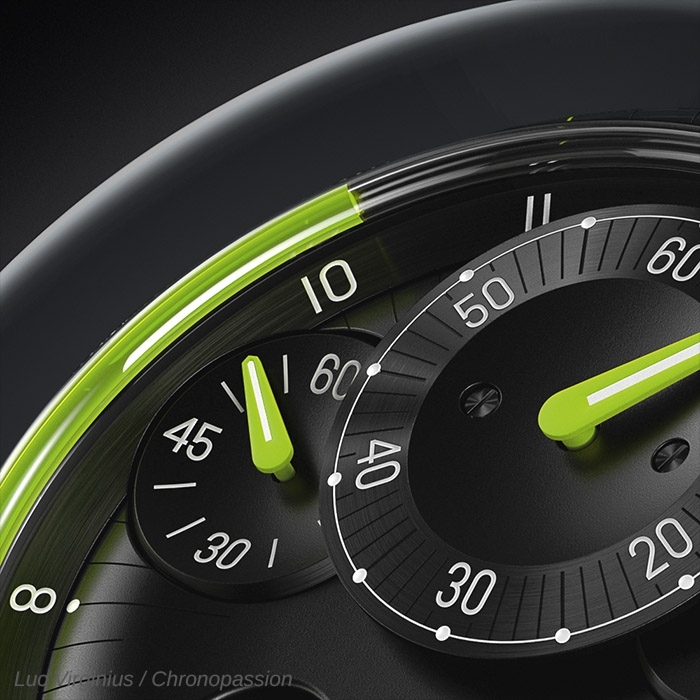 The meniscus, in the shape of a small half moon, marks the separation point between the two liquids, indicating the hour. 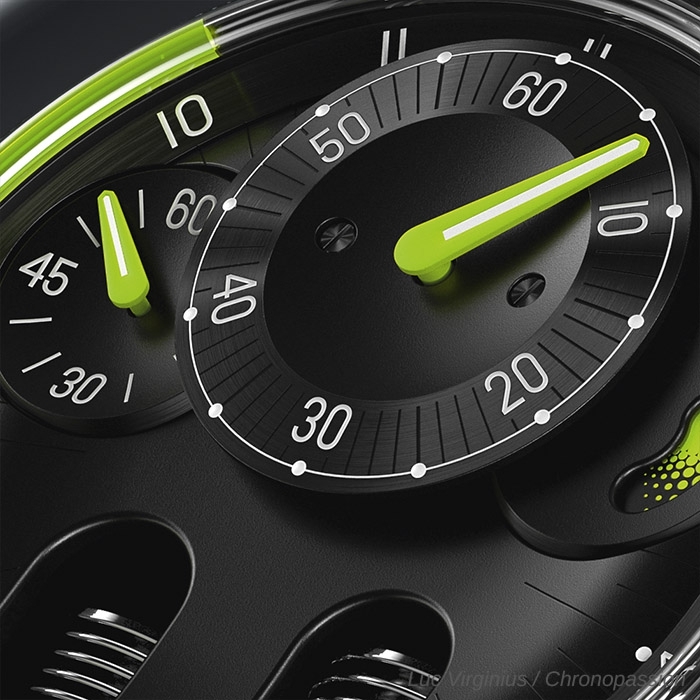 At 18:00, the coloured liquid moves backwards, returning to its original position in what is known as a ‘retrograde’. 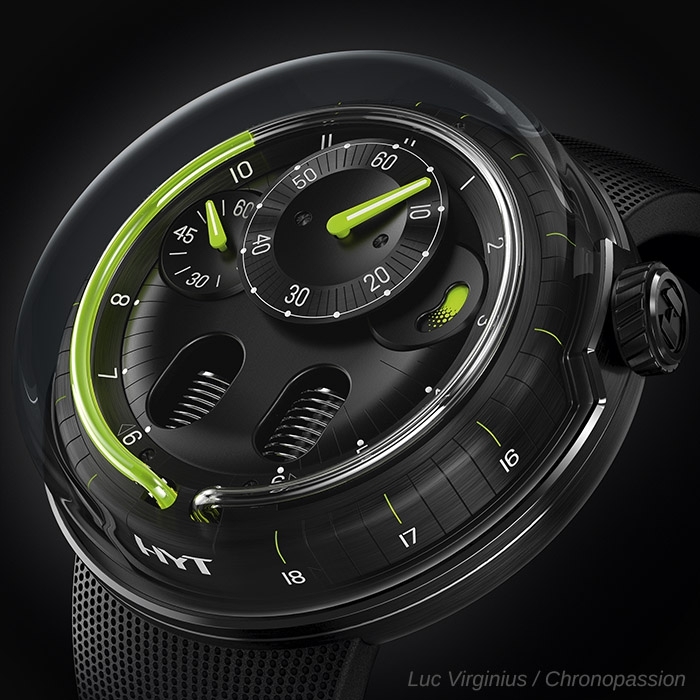 In 2013, HYT launched its H2 Collection, a new class of time pieces born from a close partnership with Audemars Piguet Renaud Papi and managed under the steady guidance of Giulio Papi. 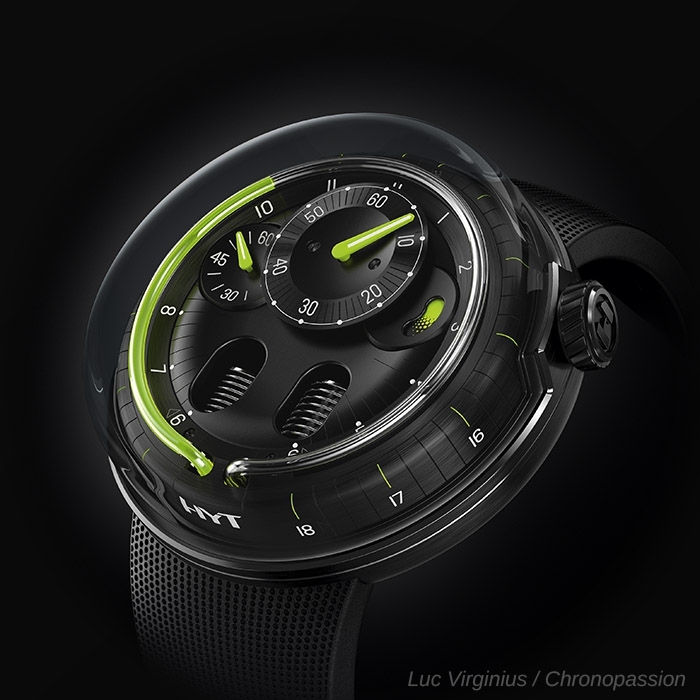 This partnership was renewed in 2015 to continue HYT’s ground-breaking work in fluid technology and also to develop a new collection: the H3 that once again reiterated HYT’s commitment to creating pieces that continuously surprise and challenge at every opportunity. 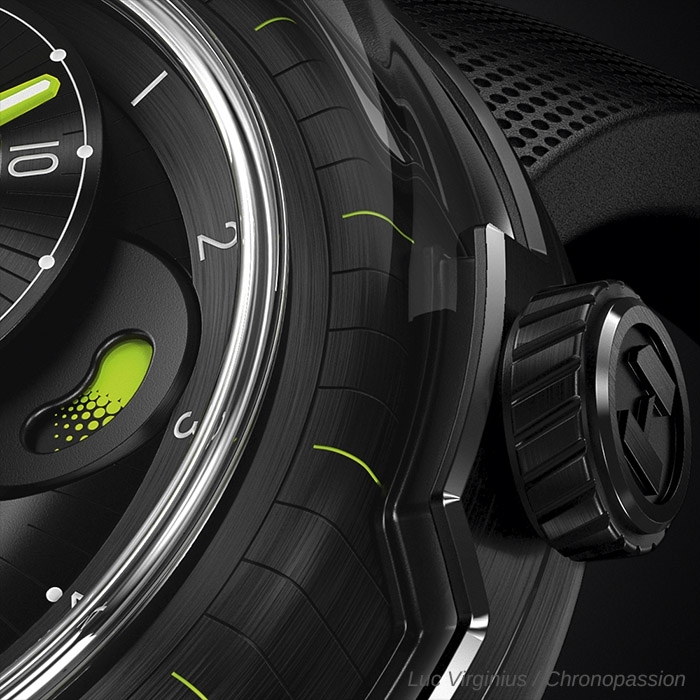 In 2015 two more legendary collections were introduced: the Skull & the H4. The most difficult aspect when creating the Skull was to transform the circular shape of the capillary to give it a skull like appearance. 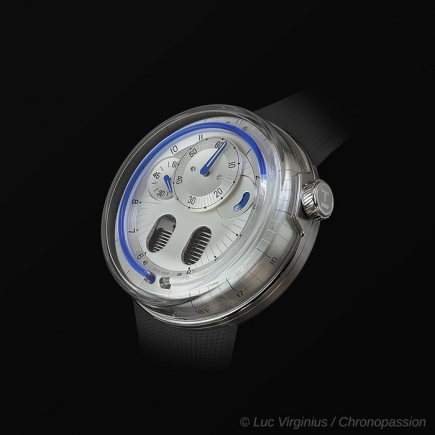 This was due to both the technical and the esthetical constraints of bending a glass tube that measures less than 1 millimeter in diameter. 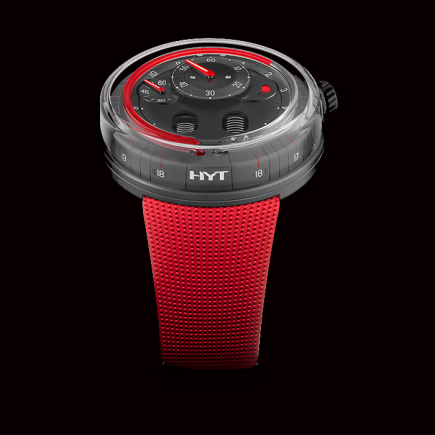 The H4 is equipped with a micro generator that converts mechanical energy into light allowing the wearer to read the time in the dark. 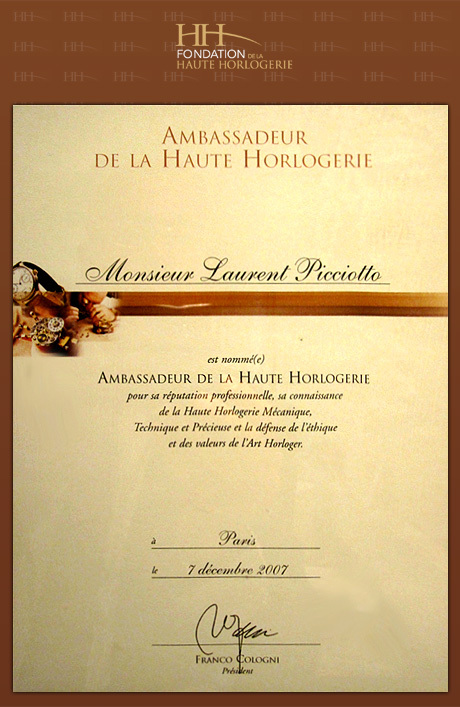 A first in the horological industry.